The success of BT’s two brands Plusnet and EE has added half a million new broadband customers to the broadcaster’s books. The news came out of BT’s financial results for the second part of 2017. While both companies started out as independents, BT bought out Plusnet in 2006 before acquiring EE in 2016 for £12.5bn. Both have their own chief executives and run their customer service independent of BT. This is probably for the best given that BT’s team have been rated worst in the country five years running. 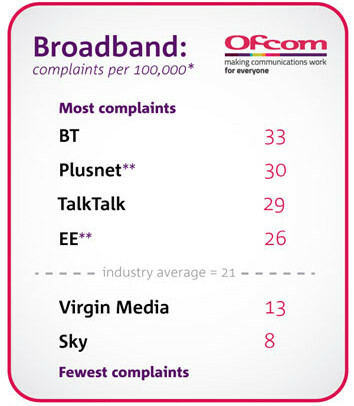 Ofcom’s complaints data bears this out, with the latest records showing 33 of every 100,000 BT customers made a complaint about broadband. Plusnet and EE broadband come with much better recommendations for how they handle customer services. Financial results for the second quarter of 2017 show BT’s numbers boosted by 505,000 customers taking broadband, with Plusnet and EE accounting for 65% of new orders. Pre-tax profits over the same period reached a devilish £666m. Our first half results are in line with our expectations as encouraging results in our consumer facing lines of business, notably EE, helped offset ongoing challenges in our enterprise divisions. We are working closely with the UK Government, Ofcom and our Communications Provider partners to find the right solutions to accelerate the deployment of fibre and our universal broadband commitment. We are committed to delivering ultrafast speeds to 12 million premises by the end of 2020. Despite huge investment in BT Sport the numbers aren’t stacking up. BT were so confident that spending billions on Premier League rights would boost the business that they bought an entire HD channel (115, Freeview) just to advertise as BT Sport Showcase. But these financial results show BT only added 7,000 customers in the second quarter of the year and introducing a £3.50 a month charge for BT Sport has not driven the profits BT was expecting. Average viewing figures only increased 8% from last year, with the Premier League TV audience (£246m a year) up just 2%. That is the reasoning behind reports BT Sport will ditch premium football all together, handing off the rights to Facebook or Amazon. Negotiations are still ongoing over BT’s proposal to fund the USO (Universal Service Obligation) to provide everyone in the country with download speeds of at least 10Mbps. BT said Openreach’s plan to prove it can build fibre to the premises (FTTP) at large scale for a competitive cost was making good progress. Ofcom warned that this plan would add £7 a month to customers’ bills. BT’s G.fast – that’s a hybrid kind of fibre that can reach download speeds of 330Mbps – is being rolled out in 26 towns and cities as a test this year. 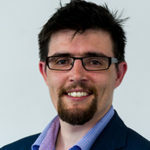 In total BT now has 8.6m homes and businesses connected to its broadband.